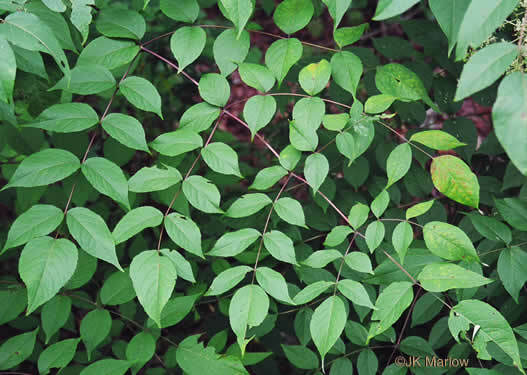 Your search found 2 image(s) of bipinnately or tripinnately compound leaves of shrubs. Leaves pinnately decompound. 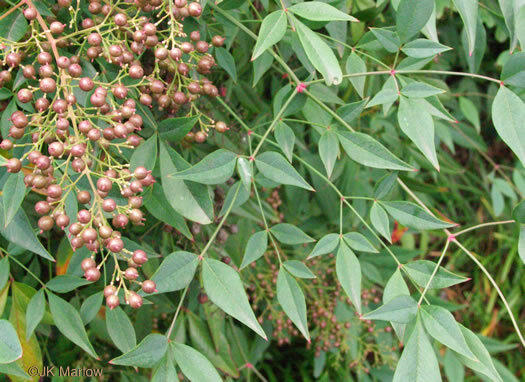 Leaflets entire, glabrous, sessile or subsessile, per Vascular Flora of the Carolinas. Leaves bipinnately compound, 2 to 4' long; leaflets toothed, per Woody Plants of the Blue Ridge.